Since its inception in March 2015, online lending marketplace IndiaLends has disbursed over Rs 500 crore in personal loans and helped nearly 200,000 consumers secure approvals for credit cards. Last week, it secured $10 million in a Series B funding round led by London-based private equity firm ACPI Invetment Managers. Existing investors such as DSG Consumer Partners, American Express Ventures, AdvantEdge Partners, and others had also participated in the transaction. With this round, the lending platform has raised over $15 million from investors till date. Besides disbursing loans, the firm also provides credit scoring and end-to-end loan origination services to financial institutions, especially the ones looking to start retail lending operations. IndiaLends was founded by London Business School graduate Gaurav Chopra and IIT Madras alumni Mayank Kachhwaha. You have a clutch of renowned investors backing you. Can you share the backdrop of how they all came on-board? 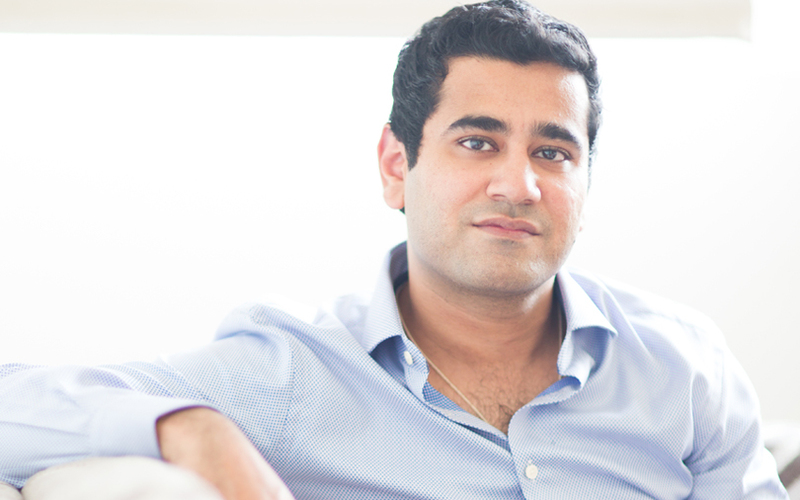 ACPI was co-founded by Alok Oberoi, a former Goldman Sachs partner with Indian roots. He had worked with the investment bank before its initial public offering in 1999. He has made prior direct and indirect investments into the Indian financial services sector. Our early backer DSG Consumer Partners introduced us to them, who sort of were able to understand and align with what we were doing in a short time. Mayank and I had previously worked with AMEX (American Express Ventures), our existing investor. Ganesh Ventures is a $250-million China-based India-focused fund with Jack Ma as one of its Limited Partners. The managing director of this fund had earlier invested in us through China-based Cyber Carrier Fund. DSG Consumer Partners has been supporting us from the beginning and so has India-based AdvantEdge. Ultimately, our capital table turned out to be one with a good global coverage, which we can leverage as a business. How much of an operational runway will the $10 million Series B round give you? Through this round of funding, we expect to achieve profitability at a company-wide level by FY21. As far as operational profitability goes, we hope to achieve it by the end of the current financial year. Having said that, we have already achieved positive unit economics. What is the scale of your current operations? We are currently present in over 35-40 cities. When we add Tier-3 and Tier-4 cities to our business, that would take us to about 130-140 cities. We hope to reach this target by the end of this financial year. Can you elaborate a bit more on the Tier-3 and Tier-4 cities expansion? Since inception, we have been primarily focusing on Tier-1 cities followed by the top Tier-2 cities. Now, we see a huge demand from Tier-3 and Tier-4 cities as well. For us, it essentially means that we have both the demand and the supply for these cities. From a supply standpoint, we make sure we have enough lenders. At the same time, it also requires marketing to generate enough consumer demand from these places. Does it entail scaling up your lending network as well? We work with about 50 lenders currently. Most of these are national and established players. However, for our Tier 3 and 4 centre play, we would have to tie-up with regional players as well. I am talking about the likes of Manappuram and TVS Finance among others, who are very region-specific. Could you tell us more about the two new financial products IndiaLends in launching? We are launching some new products which we have now made public. The idea here was to explore an unsecured lending platform which does away with the need for collateral and security for point of sale finance. This could be both offline and online sale environments where a consumer can find products from IndiaLends and avail financing when needed. We are currently in talks with both offline and online players. Until now, we had limited this only to personal loans with small and relatively higher ticket sizes and credit cards. The second product is a line of credit which essentially works like a credit card (without a plastic unit) but will be operated through our mobile app. Consumers can manage their spend, ask for a top-up and make monthly payments, all through a mobile app. This line of credit will be linked to the bank account, and hence, a debit card can be the transaction medium. We are still in the final stages of testing these products and will soon launch them in a couple of months. How do you plan to ramp up your technology capabilities? Augmenting our tech capabilities essentially is to make sure that our IT and tech architecture becomes scalable enough to meet the demands of millions of consumer demands. If a 10-million consumer base becomes 100 million tomorrow, our IT infrastructure should be robust enough to meet that requirement as well. Hence, some of the investment will also go towards technology architecture and talent. We are also on the lookout for a chief financial officer. Do you also facilitate home loans? This is more a cross-sell by product and not our focus. Every month, over one lakh consumers come to our platform for free lifelong credit reports. Over there, if someone has a need for a home loan or if someone is paying a huge interest, we can give them an offer. On the front-end, we offer only unsecured loans. We believe the biggest demand-supply gap is in the unsecured credit side. A personal loan cycle is also much shorter. What is the borrower profile on IndiaLends like? Any planned foray into SME lending? Since we do not cater to businesses, we mostly have consumers in the salaried class. Our focus is in the space of instant credit and on individuals and we believe this is something that is very scalable also. Once you start underwriting individuals, one can expand into multiple segments, which also offers the potential to generate millions of consumers. Also, we notice that more and more individuals today are comfortable moving into the debt economy. Will you consider foraying into peer-to-peer lending as well as disbursing from your own books? We believe P2P lending comes with a lot of restrictions. We have consciously chosen not to foray into it. In this lending environment, the maximum a financial institution can lend is Rs 50 lakh and this is a very small amount. Some of our lending partners do Rs 5-10 crore a month. Even if you look at the policies, our opinion is that it is not scalable. It also involves cumbersome compliance procedures. Also, since most of the players are individual lenders, the risk appetite of this category of lenders is not understood well, more often than not. Consequently, some media reports also point to higher default rates in this lending model. What, in your opinion, are the impediments in the P2P lending environment in India? In the western markets, it works very well because the interest rates are very low for investors. In other words, sourcing capital is expensive here. Consequently, when you look at P2P players, on one side they may offer loans to borrowers at 12% and they also offer guaranteed investor returns of 36%, which is a mismatch. In effect, you finally end up offering higher interest rates to borrowers as well, which leads to negative selection. Will you acquire an NBFC license and lend from your own books? We are not looking to do that in the near future and we currently have enough suppliers to provide us capital. We are a mass-market player, which means we provide capital to borrowers across all segments of the socio-economic ladder. Our loan ticket sizes range from as low as Rs 15,000 to Rs 45 lakh. As long as our NBFC and banking lending partners meet the demand requirements, we don’t have the need to venture into lending from our own books. However, I would not rule that option out completely at a later point in time.